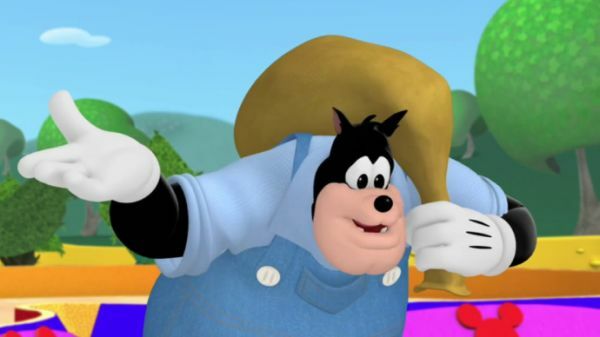 PETE: Well, howdy, hi, hey, and hello to you! 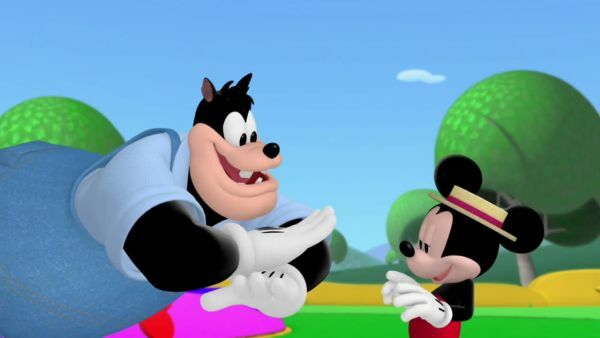 MICKEY MOUSE: Hiya, Pete! PETE: Donald, have you shrunk? but I don't know which one to do. Maybe you could help me decide! DONALD DUCK: Oh, brother! 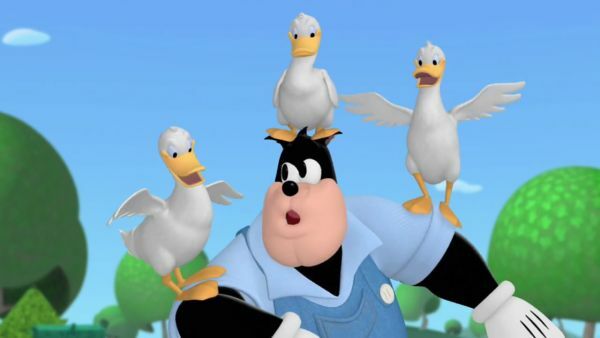 PETE: Hey, quackers, do me a favor, will you? Hold onto this and toss me the bowling pins, if you please! 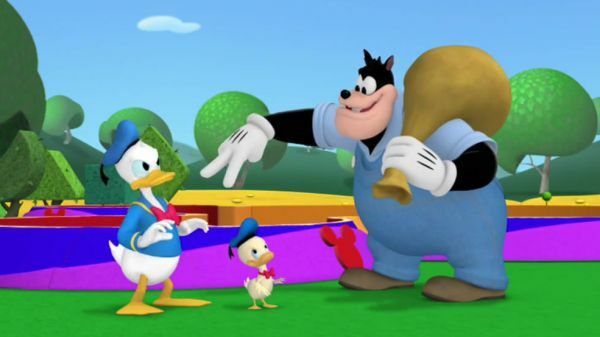 DONALD DUCK: Well, ok. Catch! PETE: What a talented guy am I? I can juggle while I sing! Oh, I can do most anything! Just watch me! Whoo-hoo! Play some spoons and my kazoo! There's nothing I can't do! Yes, I can juggle, while I sing! Oh, I can do most anything! I can even do wild-bird calls! Watch me call a moose! I mean, a goose! Oh, specklebelly goose! Uh, honk, honk and quack, quack! And, well, look, here they come. PETE: Ooh, freckled feathers! I must be losing my touch. All ducks and no specklebelly goose! Well, I better go practice some more. See you at the park! 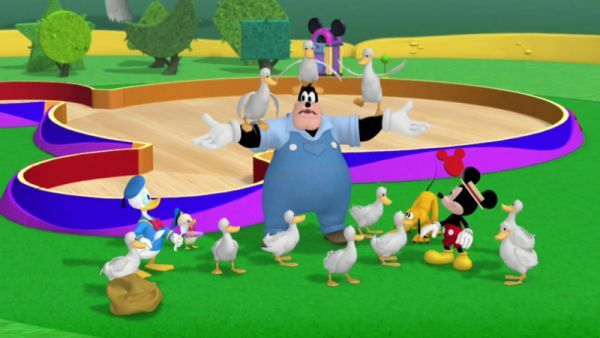 DONALD DUCK: Mickey, we've got to do something with these ducks! 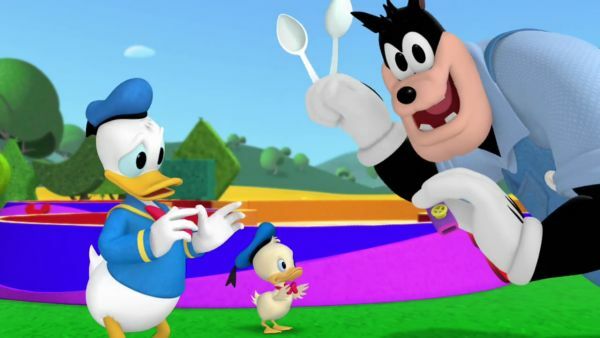 MICKEY MOUSE: Why don't we invite them to join us for show your special talent day? Hmm. We just need a place to keep them all till we're ready. Good idea, Pluto! 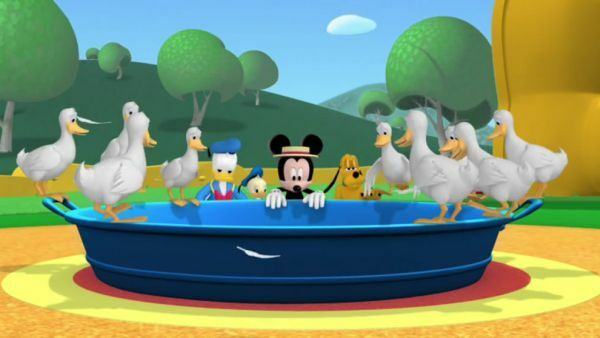 The ducks can swim in your big washtub! Uh-oh! The tub's empty! We need to fill it up with water. Maybe a Mouseketool can help us! Everybody say: oh, toodles! ALL: Oh, toodles! 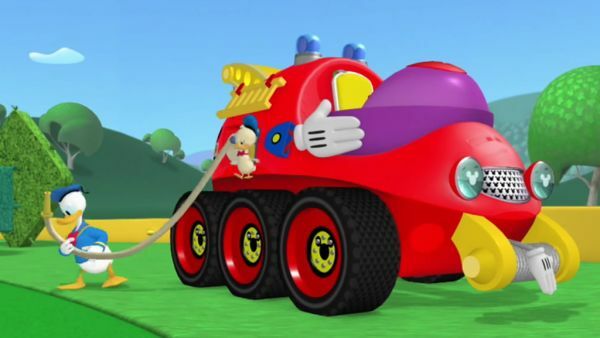 MICKEY MOUSE: Ok, we've still got the rescue truck and the mystery Mouseketool. Which Mouseketool can we use to fill up the tub with water? How about the rescue truck? Yeah. We can use the truck's fire hose to fill the tub with water! We've got ears, say cheers! 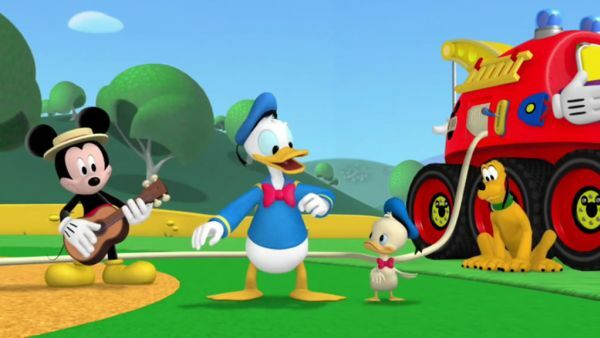 DONALD DUCK: There you go, duckies! MICKEY MOUSE: Uh, Donald, I think Donald Jr. Wants to practice some more. Ok now, Junior, take it from the top. 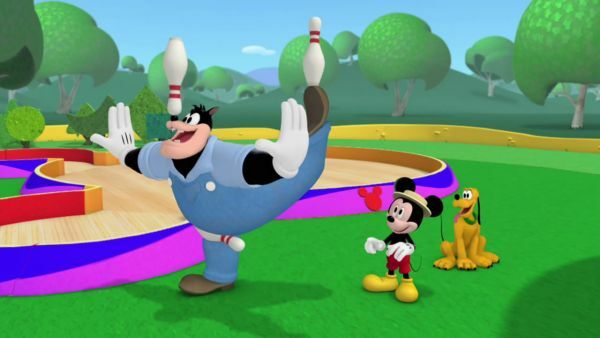 MICKEY MOUSE: Come on, let's all help Donald Jr. Do the dance steps! Stand up and dance with us! Ready? DONALD DUCK: Step, step, step, step! Kick this way, kick that way! Spin and wiggle, wiggle, wiggle! MICKEY MOUSE: Look, he's catching on! Come on, let's do it again. One more time! DONALD DUCK: Ok! BOTH: Step, step, step, step! Kick this way, kick that way! Spin and wiggle, wiggle, wiggle!